You are already sold on the benefits of offshore investing, including the establishment of offshore life insurance accounts. At this juncture, the question is no longer why these accounts are advantages but which setting and account type is right for your needs. Taking a close look at all relevant factors will make a big difference since you want to ensure the best possible returns for your investments. Fortunately there are a few key factors that will make it much easier to identify the right insurance products based in the right nations. One of the first factors you must consider with any type of offshore life insurance plan is that it meets the basic criteria established by your domestic tax agency. For example, a U.S. citizen will want to ensure that the plan is structured in a manner that is in compliance with current regulations issued by the Internal Revenue Service. This will make it much easier to identify any earnings that must be reported and are subject to taxes in your home country. Non-compliant insurance products can create additional issues that over time can undermine the amount of benefit you receive from those investments. Along with making sure the offshore life insurance plans are in compliance with domestic tax agency rules and regulations, it helps if you understand the laws in place in the host country. Offshore banking and investment laws vary from one nation to the next. If you are considering the establishment of a universal variable life insurance plan based in a certain country, you need to understand how local laws will impact the policy terms. At the same time, you want to be aware of your rights and responsibilities under those current laws and regulations. Will you need to pay some sort of tax or fee to the tax agency in the host country? If so, how is that cost calculated? In the event of some sort of economic upheaval within that nation, how much protection does your investment provide? 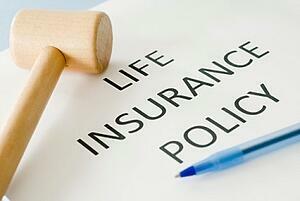 Questions of this type must be answered before you purchase any type of offshore life insurance plan. When it comes to offshore life plans, it helps to consider policies that provide ample opportunities for asset protection. Considering an insurance wrapper is a good idea. This arrangement makes it possible to secure and hold certain assets as the underlying for the life insurance plan. What this means is that you can acquire real estate and other eligible holdings through the life insurance plan. The proceeds from those assets are used to provide disbursements to your beneficiaries after your death. In many instances, this will alleviate the burden of inheritance and other taxes on those loved ones. Another benefit associated with asset protection is to prevent certain assets from being available to creditors in the event you should experience your own financial reversal. If those assets are wrapped into your international insurance coverage, they are usually safe from seizure. From this perspective, you can provide for your loved ones even if your other business interests should fail. Dealing with domestic life insurance companies means feeling secure that your investment will remain intact over the long term. You want that same level of assurance when it comes to your offshore life insurance investments. For this reason, you must have confidence in the honesty, integrity and stability of the nation in which those assets are based. Take the time to explore the general economy, the history of the investment markets and even look at projections of future movement over the next several years. This will help you decide if you should consider the insurance options provided within a given nation or move your attention to a different international location.